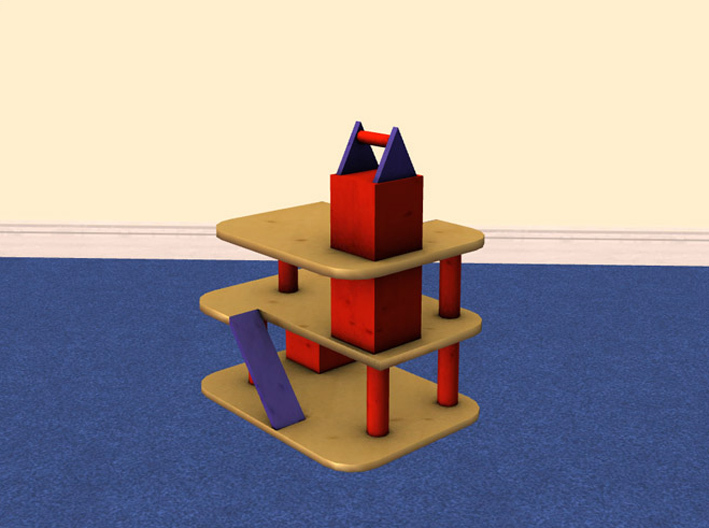 After spending the last month racking my brains to try and think of an entry for the kids challenge I came up with this - an additional toy to complement the dolls house. 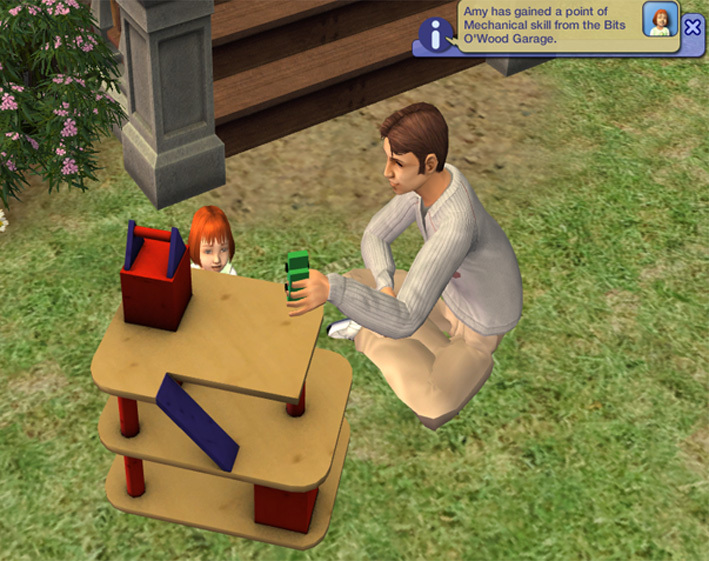 This is a toy garage for little boy sims (and tomboy little girl sims) to play with. In the dolls house children play with little dolls - these dolls are coded into the object so I made an alternative set of toy cars. Unfortunately, I had to use the existing animations so the animations of the sims holding the cars is not a perfect match; but better than using dolls in a garage, right? 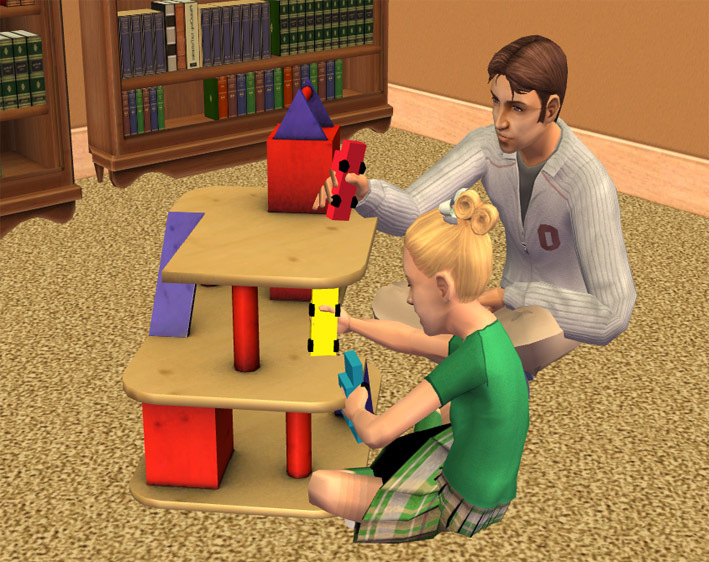 The garage functions ALMOST exactly the same as the doll house - adults, elders and teens can join the children in play, but do not start playing with the garage on their own, the difference is that children and toddlers build mechanical skill when playing with it.. 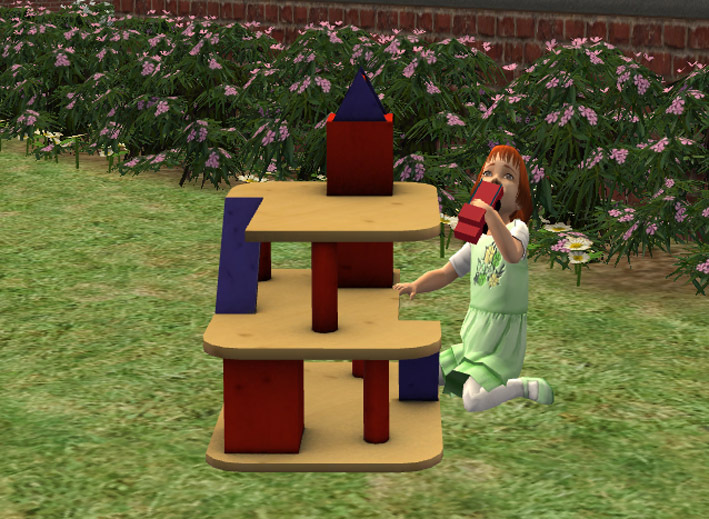 Teens and older do not build skill as that would be silly, but their fun increases just like the dolls house. You must have the garage and the garage cars in your downloads folder for the little cars to show in game; the cars are NOT visible anywhere in the toy catalogue as they are part of the garage. If you do not put the cars in the downloads folder then the sims will have empty hands. Maylin- for the incredible texture she made for me - it made such a difference to the object I class her as a co-creator on this object. Thank you again, it is kindnesses to others like this which makes MTS2 such an amazing place to be. Echo for writing the BHAV tutorials and then checking my BHAV and telling me which line I had missed - Thank you SimPE of course, and MTS2 for giving me a place to share my stuff. UPDATE 2014 : The garage now shows on community lots and can be placed on OFB shelves. These recolours may or may not be endorsed by leefish.